The author reflects on the history of the Circle of Courage model in creating resilient children in a world where virtually all young people can be considered to be at risk. Rituals of initiation are common in nearly every cultural and religious tradition. Many rites of passage involve guided risk taking and adventure, marking the road to maturity. But in modern society youth often seek badges of maturity through artificial rites of passage such as drug use or defiance of adult rules. How can we build positive rites of passage? For a century, democratic values have called for abandoning coercive approaches and teaching children and youth to be responsible citizens. The authors explore strategies for creating respectful environments and positive group cultures with challenging youth. Teachers need practical strategies to implement restorative approaches with students presenting emotional and behavior problems. RAP training was followed by coaching sessions to move from punitive strategies to build respect and accountability. Dream what a school would be like in which the purpose is to meet the needs of children and the larger community so that all can lead a good life. Using the Circle of Courage™—a model grounded in values of deep respect for the dignity of all—the authors of this article outline overarching goals and indicators that can turn this dream into reality. Twenty years ago, this publication was founded as the flagship of the reclaiming youth movement. The journal’s mission is to provide leading-edge research and practical tools for building restorative relationships and environments where all children can thrive. The editors highlight progress toward that goal and challenges that remain. When we have to deliver highly upsetting news to children, the goal is to provide support as we lead them to discovery of the difficult truth, rather than plunge them into shock and trauma. Twenty Years of Medicating Youth: Are We Better Off? There is growing concern about the burgeoning use of psychotropic drugs to manage childhood behavior problems. This article critiques this practice and calls for a reorientation toward relationship-based interventions. There is a growing expectation that service providers demonstrate accountability and achieve specific outcomes. The authors combine the Circle of Courage and the Search Institute Assets models to record developmental outcomes. Principles of Re-education articulated a half century ago are now being validated as foundations for healing trauma and building resilience. Only as adults witness the world experienced by traumatized children can they develop appropriate interventions that lead to healing and resilience. This article highlights the philosophy and programs of the National Institute for Trauma and Loss in Children. 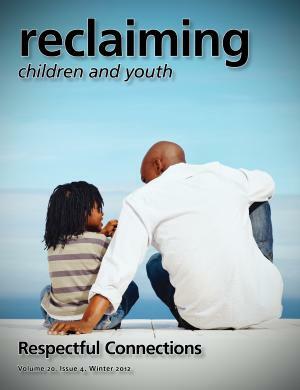 This discussion is drawn from the writings of two eminent founders of strength-based approaches to troubled children and adolescents. August Aichhorn is best known for his classic book, Wayward Youth, and Fritz Redl as co-author of Children Who Hate.